US equity indexes closed moderately higher, sp +4pts at 2357 (intra low 2348). The two leaders - Trans/R2K, settled higher by 0.4% and 0.9% respectively. 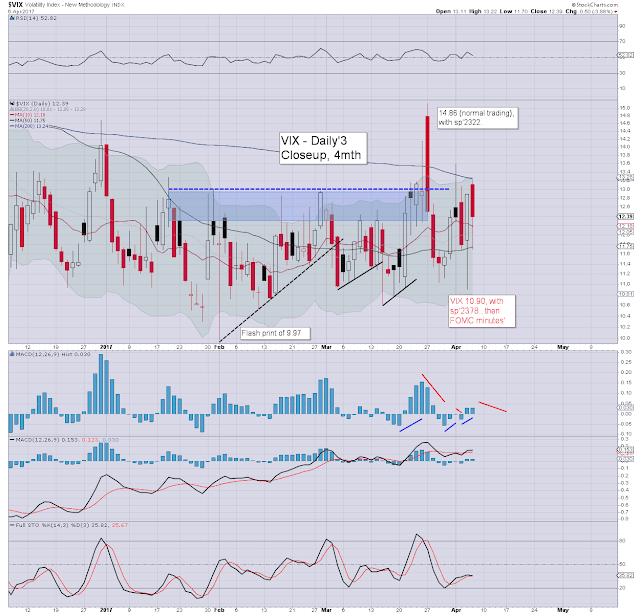 VIX settled -3.9% at 12.39. 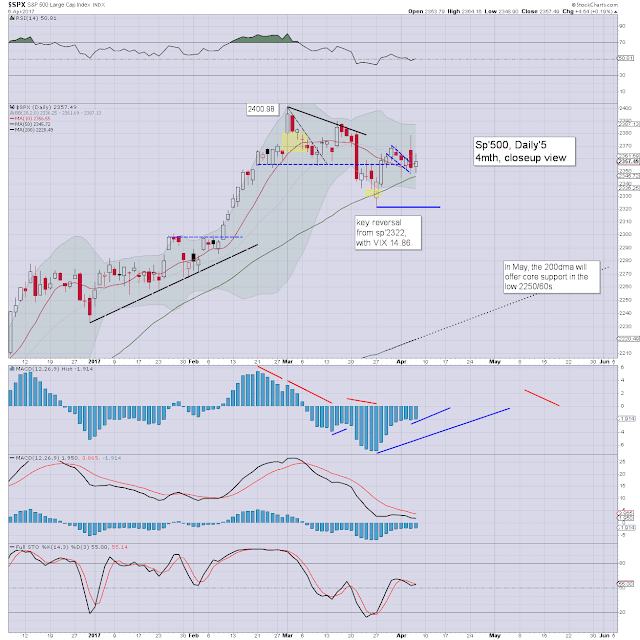 Near term outlook offers a weekly close in the sp'2360/70s, as 'good monthly jobs news' would be treated as such. US equities opened a little weak, breaking soft support of sp'2350, but the equity bears could only manage 2348, before a wave upward into the afternoon. There was latter day chop, as various geo-political issues are starting to concern some. 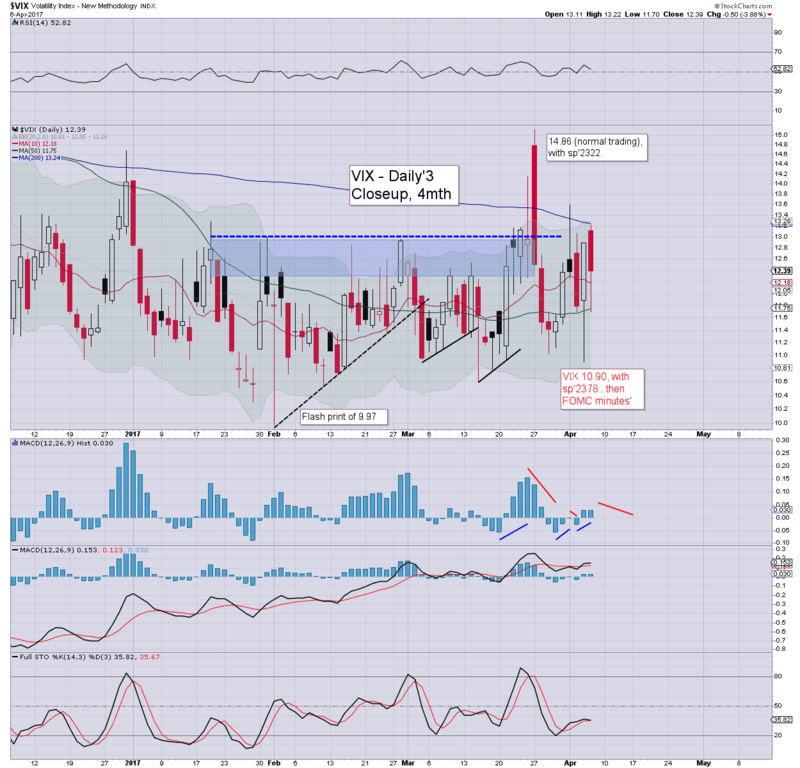 Volatility remains broadly subdued, and if equities end the week on a broadly positive note, the VIX could even settle the week in the 10s. 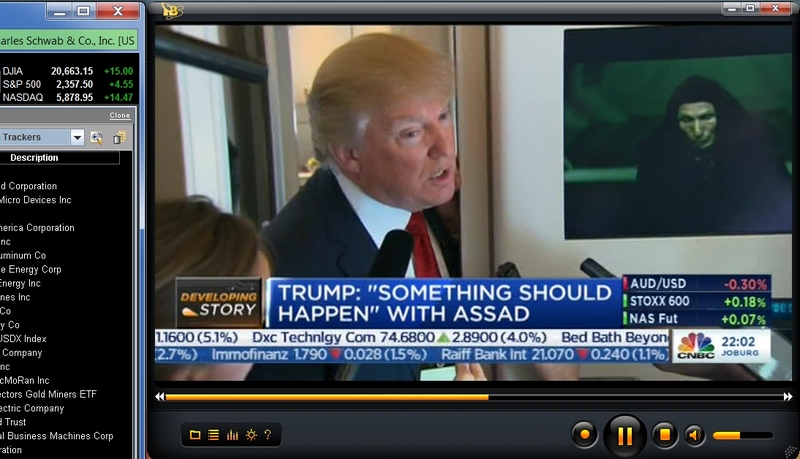 There was footage of President Trump briefly commenting on the Syrian attack, but just to the right.... 'Rogue One' is playing. It does make for a rather interesting juxtaposition. I'm sure some of the Trump hating liberals will be making use of that imagery in the days ahead. The monthly jobs data should come in at least 'reasonable', if not 'good'.. .somewhere above 200k. As has been the case since last November, such 'good jobs news', should be treated as such. For the moment, there is still zero reason to expect the market to break mid term rising trend any time soon.